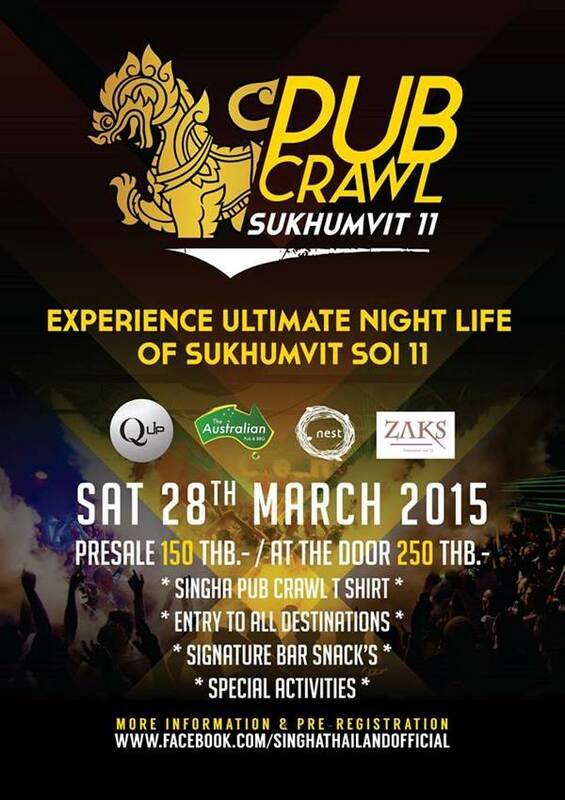 Hit up Australian Pub, Nest, Zaks, Q Up all in one epic night at Pub Crawl Sukhumvit. On March 28, we’re taking over Soi 11 and bringing you international DJ Jesse Garcia, Singha beer specials and giveaways all night long. Tickets available at participating venue.